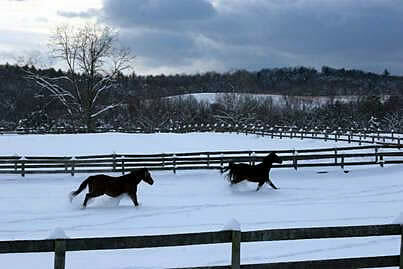 The Unwanted Horse Coalition’s [UHC] Operation Gelding program has aided in gelding 276 stallions to date. The program, which was first launched in late August 2010, is able to continue aiding in the castration of stallions thanks to the support and seed money provided by the American Association of Equine Practitioners Foundation [AAEP]. Operation Gelding is designed to offer funding assistance to organizations, associations, and events that wish to conduct a public gelding clinic under the name and guidelines of Operation Gelding. An organization that has completed an Operation Gelding clinic will receive funding of $50 per horse, $1,000 maximum, to aid in the costs associated with the clinic. June 19, 2011 – Chicago (EWA) – A long overdue Government Accountability Office (GAO) report on the effect of closing the US horse slaughter plants is scheduled for release on Wednesday, June 22. Although the report’s contents are to be kept confidential until released, slaughter supporters have been indicating for months that they were leaked the report and have now orchestrated an “Unwanted Horse” teleconference late in the day of the release, presumably to promote the report’s findings. The teleconference, called “Ask a Vet” is being presented by The Horse, the magazine of the American Veterinary Medical Association, a long term supporter of horse slaughter, and features veterinarian Tom Lenz, the former Chair of the American Horse Council’s “Unwanted Horse Coalition (UHC)”. The UHC, supposedly founded to propose solutions to the excess horse problem, has instead concentrated on promoting the phrase “unwanted horse” to take the focus off of overproduction, which slaughter actually encourages, and imply slaughter horses are somehow unusable except as meat. Pfizer Pharmaceuticals sponsoring a teleconference on solutions to the “unwanted horse” problem is beyond brazen. 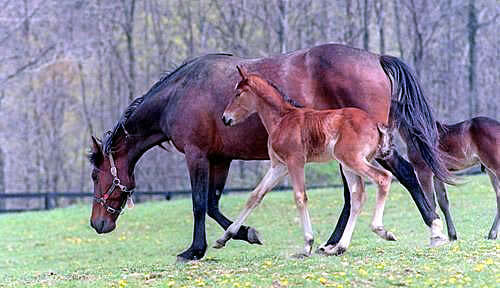 Pfizer owns Wythe Pharmaceuticals, the producer of a line of hormone replacement therapy drugs made from pregnant mare urine and is one of the largest producers of excess, poorly bred and untrained foals in North America. BOWIE, MD – (Mythic Landing) – A new young adult novel by Valerie Ormond highlights the Maryland equestrian community, military family life, and the plight of unwanted horses. Through the story of Sadie, a 12-year-old horse lover, and her tri-color Pinto, Lucky, Ormond takes readers through a tale of heartbreak, determination and love. “Believing in Horses,” from J. B. Max Publishing, is Ormond’s debut novel. A career Naval Intelligence Officer, she decided to combine her love of horses and writing with her first book. Ormond and her family live in Maryland, which serves as the backdrop for Sadie’s story. The story begins with Sadie’s move to Bowie and her dad’s deployment to Afghanistan. 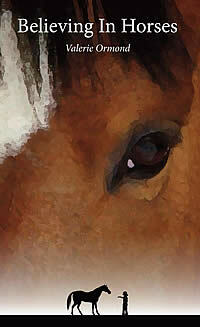 Throughout “Believing in Horses,” Ormond draws on first-hand knowledge of Maryland horse rescues. Freedom Hill Horse Rescue in Calvert County and Thoroughbred Placement and Rescue in Prince George’s County worked with Ormond to give the book a realistic feel. AQHA members are invited to nominate an equine veterinarian’s selfless service in AAEP’s Good Works Campaign. Do you know a commendable veterinarian? More than likely you do. According to a 2009 equine welfare survey by The American Association of Equine Practitioners, 71 percent of its members had donated resources or services to assist the equine community in the past year. Now there’s an opportunity to recognize these veterinarians. AAEP has invited American Quarter Horse members, owners and organizations to nominate veterinarians for the AAEP Good Works Campaign. This campaign celebrates the “good work” of veterinarians who devote time and expertise beyond the scope of their everyday practice to help horses and the equine community. Throughout 2011, the AAEP Good Works Campaign will spotlight AAEP-member practitioners whose volunteer efforts are improving the health and welfare of horses. Each month, AAEP will select a veterinarian nominated by a horse owner or organization for special recognition. Monthly honorees will be considered for the 2011 Good Works Award, to be presented during the 57th Annual Convention in San Antonio. The nomination form is available online. November 3, 2010 – Edition 14 – This Unwanted Horse Coalition news summary is provided as an educational service to those interested in the issue of the unwanted horse. The articles do not reflect the opinions of the Unwanted Horse Coalition or any of its employees. The listing of events does not constitute an endorsement of a particular event. If you see an article or event that may be appropriate for inclusion in Media Roundup, please e-mail it to ecaslin@horsecouncil.org. Unwanted Horse Coalition’s Operation Gelding Clinics Taking Place across the U.S. The Unwanted Horse Coalition’s (UHC) Operation Gelding program is off to a successful start. The program, which was launched in August 2010 with the help of seed money from the American Association of Equine Practitioners Foundation and the UHC, is designed to offer funding assistance to organizations, associations, and events that wish to conduct a public gelding clinic under the name and guidelines of Operation Gelding. An organization that has completed an Operation Gelding clinic will receive funding of $50 per horse, $1,000 maximum, to aid in the costs associated with the clinic. July 30, 2010 – Edition 11 – This Unwanted Horse Coalition news summary is provided as an educational service to those interested in the issue of the unwanted horse. The articles do not reflect the opinions of the Unwanted Horse Coalition or any of its employees. The listing of events does not constitute an endorsement of a particular event. If you see an article or event that may be appropriate for inclusion in Media Roundup, please e-mail it to ecaslin@horsecouncil.org. This spring the Unwanted Horse Veterinary Relief Campaign (UHVRC) vaccinated 1,600 unwanted horses against critical equine diseases. Established in December 2008, UHVRC provides qualifying equine rescue and retirement facilities with complimentary equine vaccines for horses in their care. To date, more than 4,000 horses across the United States have received vaccines through the program. According to a recent report, one out of every ten work-eligible Kentuckians is unemployed. In response to the significant increase in jobless horse owners, the Kentucky Horse Council (KHC) has modified eligibility requirements for their Equine Safety Net program. Started in April 2007, Equine Safety Net provides feed for horses owned by individuals who have recently lost a job or suffered an injury which prevents them from working. 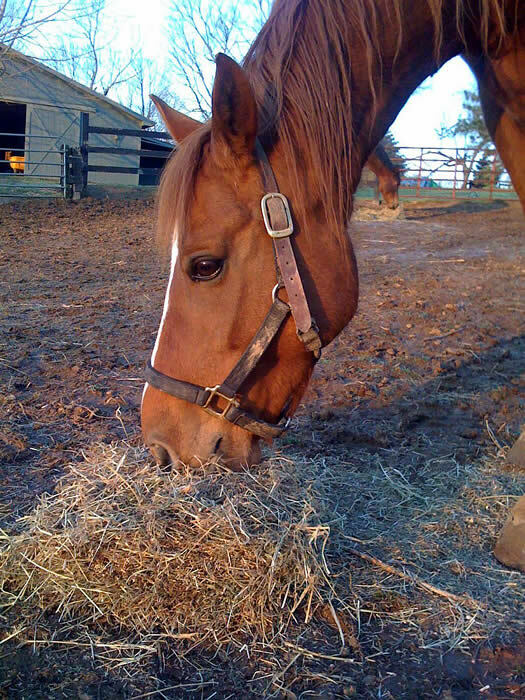 Through the Equine Safety Net program, KHC provides hay and grain for up to two horses for thirty days for approved applicants. Historically Equine Safety Net supported the care of horses whose owners suffered a job loss or injury within 90 days of application. Because of recent eligibility changes, now the program is available to those with a verifiable change in work status within six months and recipients may, for the first time, apply for a 30 day extension of Safety Net support.